1 Look out for holographic strip. 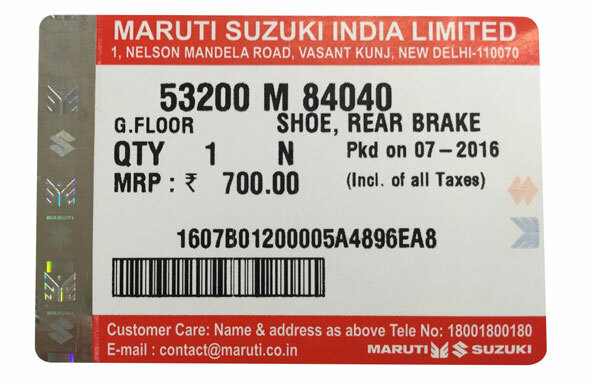 Maruti Genuine Parts written in bold letters. to spot MARUTI GENUINE PART logo. Your Maruti's spare parts are of vital importance for the performance and longevity of your car. Never compromise. Always use Maruti Genuine Parts for your car.